The concept of auras has been around for a long time. Glowing halos have been depicted around angels, God, and holy people in historical art and religious texts for centuries. Even practitioners of modern spiritual traditions use vibes, colors, and odors to describe their sense of a person’s inner spirit. So what do auras mean to us, then and now? In this episode of Swedenborg and Life, host Curtis Childs guides us through 18th-century spiritual philosopher Emanuel Swedenborg’s written records about his explorations of the afterlife to see what they say about auras, and, more specifically, what they reveal and how we can cultivate positive auras within ourselves. So what are they? 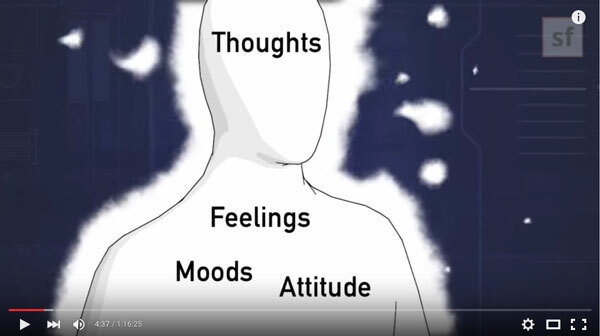 Swedenborg says auras are basically an image of ourselves projected outside of us. How do auras form and what’s their purpose? During this segment, Curtis explains that the way that we think, our moods, and our attitudes are what radiate out of our bodies and into the world as auras. Their purpose is seen more clearly in the spiritual world, where auras are used to immediately, transparently, and honestly help one spirit understand another spirit at the deepest level possible. Glowing halos of color around people are the type of auras most are familiar with. Swedenborg wrote that there are different levels of auras: spiritual, earthly, and bodily. But Swedenborg mostly talks about spiritual auras that can only be seen with spiritual sight or, as described below, in the spiritual world. “I have also noticed that an aura flows out not only from angels and spirits but also from absolutely everything you see in that world—from trees and their fruits there, for example, from shrubs and their blossoms, from plants and grasses, even from soils and their particles. I could therefore see that this is a universal characteristic of things both living and lifeless, that everything is surrounded by something resembling what lies within it and that this is constantly breathing forth. So what Swedenborg is saying is that the physical world reflects things that exist in the spiritual world. This is a very common theme in Swedenborg’s spiritual philosophies. Curtis offers several more quotes from Swedenborg’s writings about auras and also from modern written records of people who can see auras. 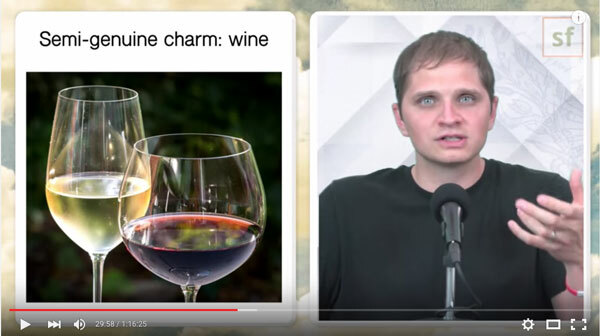 Correspondences, a unique teaching from Swedenborg’s philosophies plays a big role in this segment. As Curtis explains, correspondences can be made when things that happen in the spiritual world are echoed in the physical world. Swedenborg said that there is a strong correspondence between odors and spiritual auras. To try and grasp the concept, we interviewed Dr. Edward Higgins, a professor of biology and chemistry, about the science of odor and our sense of smell here in the physical world. Swedenborg got very specific about the odors he perceived in the spiritual world and what the odor corresponded to. During his spiritual explorations, he found a connection between odor and mood or emotion. He learned how attitudes, in the form of spiritual auras, have powerful effects on the interaction between spirits in the afterlife. Curtis points to several studies about smell-mood connection in the physical world to make the concept more tangible. Since there’s a strong connection between the spiritual and physical worlds, it’s easy to see some of Swedenborg’s philosophies happening right here on earth. One interesting connection can be made with bees. Yes, those buzzing little honey-makers! The way that bees communicate physically is a lot like the way auras communicate on a spiritual level. For more on that, we met with beekeeper Wendinne Buss to explain how bees communicate through pheromones. By looking at how bees communicate as a community through scent, we can see how people’s auras communicate with each other. If you’re worried that your aura might have a bad “smell”, don’t fret. You can counteract the offensive smell the same way you can combat body odor. Simply do a little spiritual cleaning up, and then keep up with maintenance as Curtis describes in this segment! Does Swedenborg say anything about how one can become more perceptible to auras? Do believers in Christ have a brighter aura than non-believers? Where does Swedenborg talk about how he perceived this or where he started to sense the spiritual? Does Swedenborg say there is a purpose for us to learn to see auras while here? Is there “usefulness” to seeing them here? Can people who are perceptive pick up on the (spiritual) scent of people in the way spirits can respond either with comfort/attraction or be rather ill to their stomach around others? Is it possible for these negative spirits to perceive the effect they have on others, and thus change for the better, or is this only possible in life? 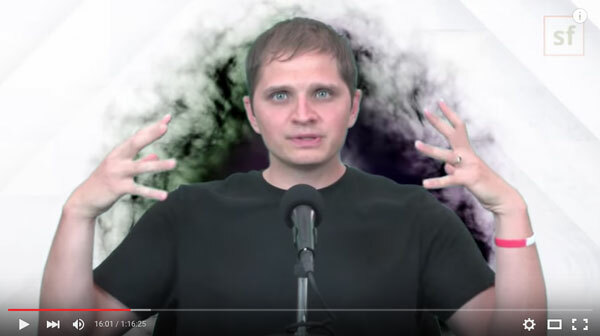 Did Swedenborg say anything about colors/electromagnetic auras? What can we do to help others that are spiritually sleeping and do not want to be awakened? What would Swedenborg do? Is there a chemical substance that allows you to access the perception of auras?